Throughout my journey as a career practitioner/counsellor since 1996 it has never ceased to amaze me why people select undergraduate and post graduate qualifications that many never fully utilise. To invest numerous years and dollars into an activity that ultimately provides little or no return on investment does not make sense. What you are personally suited to do and have a passion for are not the only considerations, it is also about employment opportunities after graduation. No job, a low paying position or limited career progression opportunities are the dead end reality for many “wide eyed” graduates (“if I had only known this years ago” is a common lament). Unfortunately universities, RTO’s and similar institutions are constantly guilty of “shoe horning” people into courses that may be inappropriate or knowing that career opportunities will be very limited on completion. Educational institutions exist on fees charged and as such are selling products…not independent career advice as many purport. Whilst qualifications are a necessary part of any professional’s credentials, they may not always be the elevator ride to the top that people aspire to. Some people actually succeed without qualifications, however this is not something I would actively advocate. Nevertheless, the careful consideration of undergraduate or post graduate study is imperative to an individual’s life outcomes, and I can assure you that it is that individual that wears the consequences of a good or bad choice…so you had better get it right! People often continue with post graduate qualifications (Graduate Dip, Masters and PhD) to find that they are over qualified for active participation in the 21st Century workforce…the number of PhD’s driving taxis attest to this. 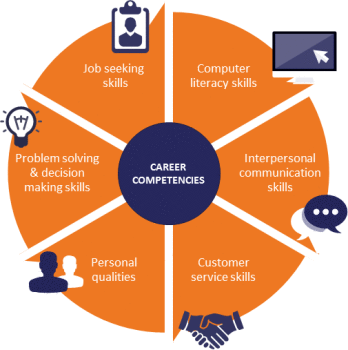 A successful career is based on appropriate qualifications for the position and industry sector, plus supply and demand. The employment market is just that “a market”…there has to be a willing seller and a willing buyer. As situations change additional qualifications will be needed to keep relevant with industry trends and economic circumstances…so again a bad decision at any point can lead to a lack of employment or career progression opportunities in the future. Today’s worker can look forward to multiple career changes throughout their lifespan so decisions on new qualifications are an ongoing component of any professional’s career planning. A blend of practical workplace experience and appropriate qualifications is a good mix. Employers look for people who can add value and achieve for them…they want a return on investment just like you. So how to avoid these traps! Careful analysis of employment market, economic, demographic and socio political trends is a foundation for good decision making. Don’t listen to your uncle Bob or a mate. Obtain professional assistance as this information is readily available and collated by a good career development practitioner who will be abreast of these factors. Making good career decisions is vital to your long term financial stability, social and mental health…don’t waste your time, money or life on poor educational choices.